The 44th parallel north is a circle of latitude that is 44 degrees north of the Earth's equatorial plane. It crosses Europe, the Mediterranean Sea, Asia, the Pacific Ocean, North America, and the Atlantic Ocean. The 15th parallel north is a circle of latitude that is 15 degrees north of the Earth's equatorial plane. It crosses Africa, Asia, the Indian Ocean, the Pacific Ocean, Central America, the Caribbean and the Atlantic Ocean. 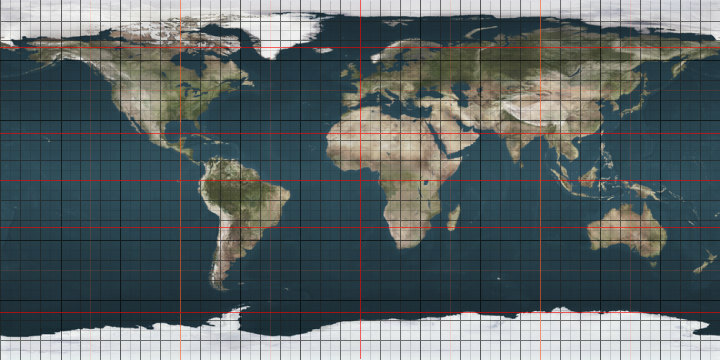 The 26th parallel north is a circle of latitude that is 26 degrees north of the Earth's equatorial plane. It crosses Africa, Asia, the Indian Ocean, the Pacific Ocean, North America and the Atlantic Ocean. The 42nd parallel south is a circle of latitude that is 42 degrees south of the Earth's equatorial plane. It crosses the Atlantic Ocean, the Indian Ocean, Australasia, the Pacific Ocean and South America. The 63rd parallel north is a circle of latitude that is 63 degrees north of the Earth's equatorial plane. It crosses the Atlantic Ocean, Europe, Asia and North America. The 18th parallel north is a circle of latitude that is 18 degrees north of the Earth's equatorial plane. It crosses Africa, Asia, the Indian Ocean, the Pacific Ocean, Central America, the Caribbean and the Atlantic Ocean. The 23rd parallel north is a circle of latitude that is 23 degrees north of the Earth's equatorial plane. It crosses Africa, Asia, the Indian Ocean, the Pacific Ocean, North America, the Caribbean and the Atlantic Ocean. The 43rd parallel south is a circle of latitude that is 43 degrees south of the Earth's equatorial plane. It crosses the Atlantic Ocean, the Indian Ocean, Australasia, the Pacific Ocean and South America. The 57th parallel north is a circle of latitude that is 57 degrees north of the Earth's equatorial plane. It crosses Europe, Asia, the Pacific Ocean, North America, and the Atlantic Ocean.